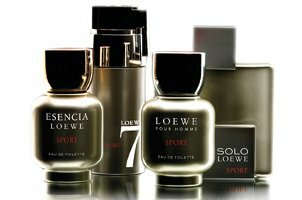 Spanish house Loewe will launch a Sport collection for men later this month, with four fragrances: Loewe Pour Homme Sport, 7 Loewe Sport, Solo Loewe Sport and Esencia de Loewe Sport. The fragrances are fronted by Javier Hernanz (sprint canoer), Iñaki Osa (jai alai), Arturo García (archery) and Jordi Bargalló (hockey). Loewe Pour Homme Sport ~ a flanker to 1974's Loewe Pour Homme. "Elegant Eau de Toilette with fresh and spicy top notes, led by grapefruit and pepper, Mediterranean heart notes, accentuated by the notes of basil and lavender, as well as by the original sea water chord and warm and woody base notes of cedar and moss." In 100 and 150 ml Eau de Toilette. 7 Loewe Sport ~ a flanker to 2010's 7 de Loewe. "Aromatic Eau de Toilette with scintillating citric top notes of mandarine and yuzu; aromatic heart notes, led by mint, tomato leaf and neroli and oriental base notes dominated by amber and incense." In 50 and 100 ml Eau de Toilette. Solo Loewe Sport ~ a flanker to 2004's Solo Loewe. "Fruity Eau de Toilette with refreshing top notes of pepper and mandarine, harmonious mediterranean heart notes of rosemary and lavender and enveloping and musky base notes of moss, patchouli and amber." In 75 and 125 ml Eau de Toilette. Esencia de Loewe Sport ~ a flanker to 1988's Esencia Loewe. "Sophisticated Eau de Toilette with energising, fruity top notes of bergamot and mandarine; hot and spicy heart notes of pepper and geranium and intense base notes, characterised by the richness of amber and musk." In 100 and 150 ml Eau de Toilette. Why launching just one sport fragrance when you can do an entire line of it? Exacto, again! The sport thing is not over. No idea if they’re famous in Spain, though, which is presumably their primary market. Those commercials crack me up!